All the fighters slated to participate in Wednesday night’s “WEC 50: Cruz vs. Benavidez” event will be tipping the scales today inside The Pearl at The Palms Casino Resort in Las Vegas, Nevada. Stream today’s weigh-ins live right here on 5thRound.com starting at 7PM ET/4PM PT. 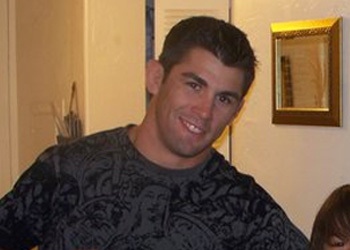 A bantamweight title scrap between champion Dominick Cruz and Joseph Benavidez will headline the freebie broadcast. Cruz surprisingly cruised to a unanimous decision victory over the talented Alpha Male fighter in their first foray a WEC 42. Both have improved drastically and posted impressive performances since their initial tango exactly one year ago. It’s got all the makings for an explosive and entertaining affair. Catch the main bouts airing live tomorrow on Versus beginning at 9PM ET/6PM PT.